MUMBAI: Veteran industry leader Ratan TataWednesday said it takes long to really understand a business leader, even though there can be an immediate admiration. 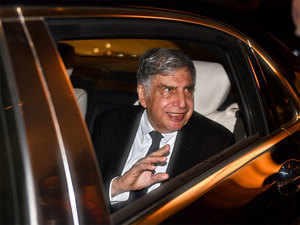 “…it takes a long time for you to really know the person you are working with,” Tata said, speaking at the Hotel Investment Conference South Asia here. “When I was the chairman of the group, I think there was a disproportionate amount of time that I expended in the automobile business because it was at that time the most exciting thing we were doing in terms of trying to indigenise the product that we would use for transport,” he said. Tata added that he has been a pilot all his life and still has a “great deal of interest in aviation”. He said the group can be accused of hanging on to troubled businesses for too long, conceding that “Its very difficult to give up an enterprise”. “Yes I do (use amenities in the bathroom) and embarrassingly I always steal everything I can find. I dont mean the telephone and other things, he quipped.